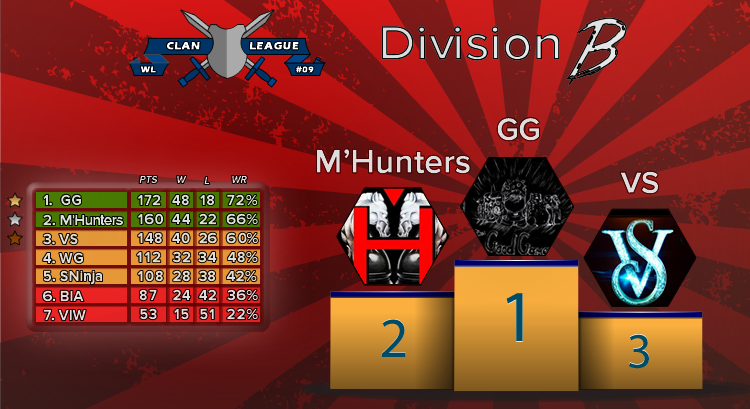 I'm pleased to announce that in partnership with Muli's Userscript the Clan League will now have custom awards for individual and collective efforts for tournament winners and top 3 clans in divisions A and B. More information should be available tomorrow on Muli's thread. This will also be covered during WGL #154. Full results can be seen in the CL9 Doc. (Links in the end of the post). These are really cool! Nice job. How'd you make the logo for Clan League? wow cool! Could be cool to add division C also! It looks super professional, well done! thanks! The CL logo was made by Lionheart. If it looks good Lionheart made it. I want too Div C so I can appreciate the FCC for one last time. Looks awesome , Thanks guys. Nice work TM. Looks fantastic! amazing work! almost as good as the new game cards! 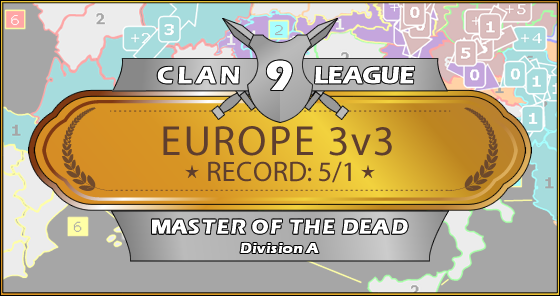 i hope this is a strong incentive for a memorable clan league next season! Awesome looking awards, if I may ask could we also create a Rookie of the CL award for people who did well on their first ever go of the CL? I'm not sure who it would apply to this season, but I'm sure there's someone. Any plans adding those for previous seasons aswell? "Awesome looking awards, if I may ask could we also create a Rookie of the CL award for people who did well on their first ever go of the CL? I'm not sure who it would apply to this season, but I'm sure there's someone." Yeah do that, obviously it would be the stronk Kazoo! Honestly one of the cooler things I've seen on this site. Be cool to have multiple awards for individuals.
" Awesome looking awards, if I may ask could we also create a Rookie of the CL award for people who did well on their first ever go of the CL? I'm not sure who it would apply to this season, but I'm sure there's someone. " 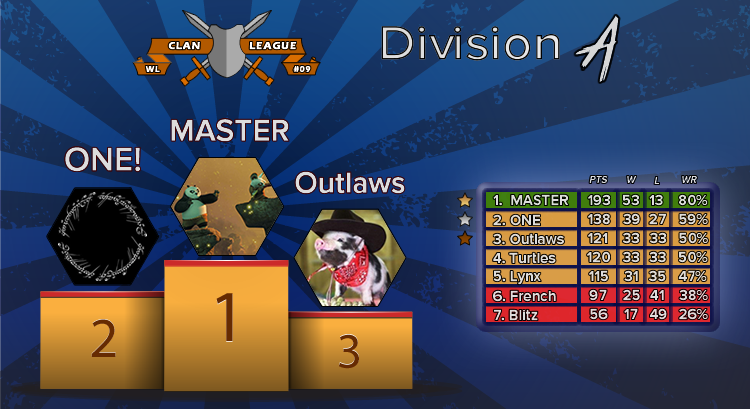 -- for division B, it would unequivocally go to hobo.. 100% win rate on both 1v1s on his first time in CL..
Would it be possible for you to make the raw image/vector files (with layers) public? There's enough data out there to make variants of these awards for CL 1-8, at least for the overall championship trophy. It would be nice to have the 3 trophies each for WM and Apex's clan page. Apex will never die completely, Timi has already signed a contract to represent Apex for the remainder of his/warzone's life.